The poll, conducted by Olive magazine, was carried out to celebrate British Sandwich Week. We Brits are a sandwich-loving nation, and whether its a cheese and pickle or a posh bit of salmon and cream cheese, no one can deny the joy of a good spread. Now, according to Metro, a survey has asked Brits what their favourite sandwich is, and it turns out for us that nothing beats a bacon butty! 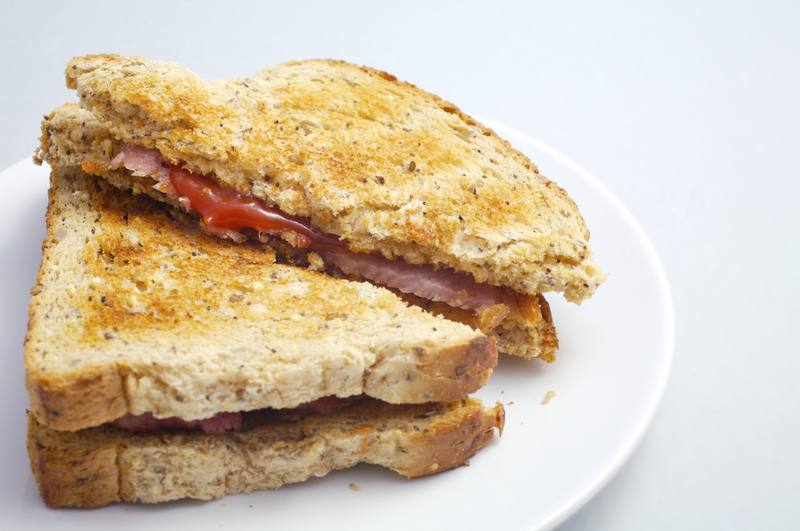 The poll, carried out by food mag Olive, saw bacon sarnie's topping the list with 12% of the votes. However, those thinking a cheese and pickle wouldn't be too far behind might be surprised, as a prawn and mayonnaise took second place with 10% of the votes, while a BLT came in third with 9%. Maybe the soggy tomato put people off? However, when it came to the "most quintessential" British sandwich, the bacon sarnie was tied with the cheese and pickle at 17%. Finally, some common sense has prevailed! Do you think the bacon sandwich deserves its title?